An amazing first renovation in 15+ years have come to the following destinations! Check out their amazing new comfortable and modern look while enjoying all of the best nearby attractions. All at an affordable price! 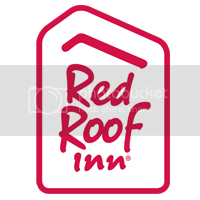 Red Roof Inn Dayton North Airport is conveniently located right nearby the airport. When you check in, check out the fantastic new amenities in our newly renovated rooms! The rooms at this 100% Smoke-Free inn feature new, comfy Rest Suite beds by Serta, high-end bedding, new flooring, and a large, flat-screen TV. We’re near Museums, Carillon Historical Park, University of Dayton, Fifth Third Field, Wright Patterson Air Force Base, Nutter Center, Wright State and the Dayton International Airport. See more hotel photos and book your stay here: Book now! Red Roof Inn Dayton South I-75 Miamisburg is centrally located to all local attractions such as Cox Arboretum (1.7 miles), Kings Island (23.5 miles) , University of Dayton (9 miles), Dayton Convention Center (9.5 miles), and many more exciting locations. Enjoy our newly renovated rooms with flat-screen TVs and free WiFi. Our excellent service and comfortable beds are sure to make your stay enjoyable while visiting the Miamisburg/Dayton area. Try our Superior King rooms, larger than our standard rooms, offering more amenities such as in-room coffee, hairdryer, iron & Ironing board, as well as microwave & refrigerators. Book now! The University of Dayton and Wright State University are both nearby Red Roof! Whether you are visiting a loved one, attending a meeting, catching a sporting event or taking a campus tour – make the trip convenient. Attending a meeting, conference or convention at Dayton Convention Center? Stay close-by! The Nutter Center is home to Wright State Basketball & the best entertainment and live events. See the calendar! Hara Arena is just a short drive away from both properties as well. Here’s the calendar for upcoming events to check out! While in Dayton, check out the National Museum of the US Air Force. Visit exhibits from World War II, the Korean War, Cold War, and many others! Featuring a diverse permanent collection, world-class special exhibitions, concerts, family programs, art classes, social events and more. Art changes lives…live it at The Dayton Art Institute. Other museums include United States Airforce Museum (USAFM), America’s Packard Museum, Dayton International Peace Museum, and the Boonshoft Museum of Discovery. Cox Arboretum is a special place for visitors to escape among trees, shrubs, specialty gardens, mature forests, prairies, a Tree Tower and a Butterfly House. See the program schedule. Scene75 Entertainment Center offers attractions like laser tag, blacklight mini-golf, indoor go-karts, bouncing inflatables and many more – there’s excitement for the whole family here. Kings Island is a fun filled adventure at the largest amusement and waterpark in the Midwest! With so many exciting things to try, you’re sure to have a great time! Stay close when traveling to Wright-Patterson Air Force Base. At Red Roof, we support our troops, whether traveling on leisure, as a contractor, on official business or as military friends and family, click here for more information on our military discount. Come see a show playing at the Schuster Performing Arts Center. Look for upcoming shows during your stay in Dayton. Celebrating the Victoria Theatre’s 150th Anniversary! Schedule a Backstage Tour, or see a show at this historic fixture of Dayton. Enjoy great live entertainment from big names, cover bands and local acts all in one place. The Fraze Pavilion is your headquarters for musical fun throughout the summer. The Dayton Mall is right nearby! Don’t worry about buyers’ remorse–you saved by staying with Red Roof. Pipestone Golf Course and Yankee Trace Golf Course are a short drive a way. Play a round of golf while you’re here.